RAND Health is a division within RAND, a non-profit institution that helps improve policy and decision making through research and analysis. The mission of RAND health is to improve the health of populations around the world. We pursue this goal by conducting objective studies across the spectrum of health policy issues, ranging from health care quality and improvement, health care financing, and public health, to health promotion and disease prevention. We also work extensively on the scientific basis for improving service delivery, system performance, and organizational effectiveness. A major focus is our community-partnered work, in which we collaborate with community organizations and representatives to identify opportunities, conceptualize research and action-oriented agendas, design and implement research, analyze findings, and work together to ensure that those findings are appropriately disseminated and ultimately produce desired change. Examples of these partnerships include Community Partners In Care, which addresses depression in underserved minority communities in Los Angeles; Cognitive Behavioral Intervention for Trauma in Schools, which addresses trauma in Los Angeles schools; Alianza Contra el Asma, a community-centered coalition to address asthma disparities in Puerto Rico; and innovative work with community partners to develop improved, culturally appropriate mental health services in New Orleans. Education — of medical students, residents, other primary care trainees and practicing physicians regarding the provision of high-quality, cost effective and community based family medicine care. Direct patient care — in a number of diverse inpatient and outpatient settings to insure that our graduates learn to provide excellent health care and access in diverse clinical settings. Research — in health services, medical education, and clinical medicine that addresses health issues of the diverse populations of California and the nation. 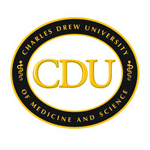 Fellowships — in health services research, sports medicine and addiction medicine. 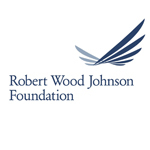 The Robert Wood Johnson Clinical Scholars Program provides postdoctoral training for young physicians interested in research and leadership careers in health policy and academic medicine. Clinical Scholars learn to conduct innovative research and work with communities, organizations, practitioners and policy-makers on issues important to the health and well-being of all Americans. Originally authorized by the Board of Trustees in 1972, it is the oldest national program of the Robert Wood Johnson Foundation (RWJF). With each passing year, the Social Sciences become even more important in helping to make sense of the rapid and profound changes occurring all around us. Within the Social Sciences is a core of academic programs that rank among the nation’s finest in exploring the vital issues of our time. 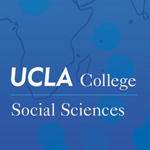 In the fields of study in the Social Sciences–anthropology, geography, communications, history, political science, sociology, economics, and study of ethnic heritage–faculty and students seek to understand the forces that act on us as individuals and groups in an increasingly complex world. Research and teaching in the Social Sciences bring to life the intellectual and human diversity that are prominent in world cultures–in the political workings of our governments, in creating a new appreciation of history, and in understanding the social nature of the human experience. Students learn exciting and diverse methods of social and environmental analysis, such as archaeology, statistics, game theory, remote sensing and imagery, textual analysis, ethnography, geographic information systems, field work, and ecology. Students and faculty in the Social Sciences develop the knowledge and analytical tools needed to understand the intricacy of human interaction, and to appreciate and value the expressions of human experience. They increasingly explore new and evolving fields that cross many disciplines: the study of public policy, the vast range of issues that affect women and the family, American society and culture, the environment, and the evolving questions of population and its impact on the globe. 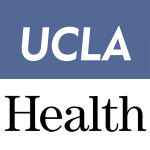 The UCLA School of Public Health is one of the top schools of public health in the country. The School has 200 faculty members (80 full-time), 700 students (500 masters level and 200 doctoral level), and 200 staff. 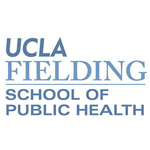 Students at the UCLA School of Public Health receive state-of-the art public health training from distinguished experts in the field of public health (including nine members of the Institute of Medicine and three past presidents of the American Public Health Association) combined with practical, hands-on experience. The School’s classrooms and laboratories are under the same roof as UCLA’s world-renowned hospital and medical, dental, and nursing schools, and just steps away from the rest of the University providing abundant opportunities for multidisciplinary collaboration. In addition, the School’s location in the most diverse county in the country provides a unique setting with unparalleled opportunities for research, teaching, and service. 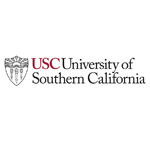 The Department of Psychiatry and Behavioral Sciences at the USC Keck School of Medicine is strongly committed to expanding its program in mental health services research. The department has close ties to the Los Angeles County Departments of Mental Health (LAC DMH) and Health Services (LAC DHS). They provide comprehensive mental health care services to the culturally diverse residents of East Los Angeles, the majority of whom are Latino. Departmental research interests include psychiatric genomics, neuropsychiatric disorders, psychopharmacology, forensics, and social and community psychiatry. Multi-disciplinary research activities with other departments at the medical school and the university are encouraged. Tulane University is a privately administered, non-sectarian university offering undergraduate, graduate, and professional curricula. The University is comprised of ten academic divisions with a total enrollment of 13,486 students with 8,423 undergraduate students and 5,063 graduate and professional students. Tulane has a long tradition of leadership in higher education, both regionally and nationally. For at least the past decade, Tulane University has been ranked in the top 50 by U.S. News and World Report. As the largest private employer in New Orleans, Tulane has over 2,700 full time staff and 1,100 full time faculty, exclusive of adjunct and visiting faculty. Tulane is an international resource for education with students coming from all states and approximately 40 countries. Tulane is a classified as Category I Carnegie Research University, therefore research and scholarly activities are a fundamental base of the University. Since its inception some 75 years ago, the Louisiana State University School of Medicine and the School of Public Health at the University Health Sciences Center have maintained a deep commitment to serving all patients, particularly the underserved. We are aligned with the LSUHSC Health Care Services Division which consists of nine hospitals throughout the state. Through this important relationship, our faculty and house staff provide quality medical care to the residents of Louisiana regardless of income or insurance coverage. Simultaneously, our partnerships with the LSU Healthcare Network and local private hospitals supply outstanding care to a growing population of private patients. These wide ranging medical services support the people of our state while providing the backdrop for a broad and comprehensive clinical education for our students and residents in training. The mission of the UCR School of Medicine is to expand and diversify the physician workforce for Inland Southern California and to be a catalyst for training health care leaders with an orientation to prevention, wellness and cost effectiveness, as well as cultural competence and an understanding of the impact of health care disparities. UCR has relationships with Kaiser Permanente, the Desert Healthcare District, and Riverside County Regional Medical Center. The medical school’s research enterprise focuses on both population health and the biomedical sciences. The new Center for Healthy Communities (CHC) within the medical school serves to use innovative community- engaged research to promote the mental and physical health of people in Inland Southern California. CHC is building bridges with community groups and interdisciplinary health-field faculty to promote the health of the culturally and economically diverse population surrounding UCR, particularly the medically underserved. In particular, the CHC seeks to utilize community-based participatory research approaches to strengthen the capacity of its community partners to apply scientific reasoning and methodologies to create lasting change in the delivery of local health services and care for underserved residents.